Announcement My Little Midge is now THLC! Any orders placed before the rebrand will be unaffected by the change, not to worry! Please feel free to reach out if you have any questions! Thanks for visiting THLC on Etsy! 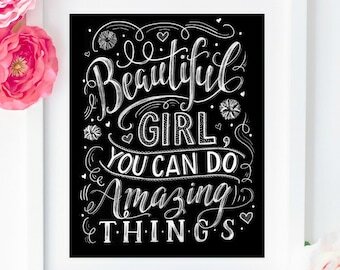 These are ORIGINAL designs-for personal use only! Please do not hesitate to ask me if you have any questions at all, or if you have a certain timeline you need your order by-I will do my very best to accommodate you! ****Follow THLC on Facebook for updates, sales, and giveaways! My Little Midge is now THLC! Any orders placed before the rebrand will be unaffected by the change, not to worry! Please feel free to reach out if you have any questions! 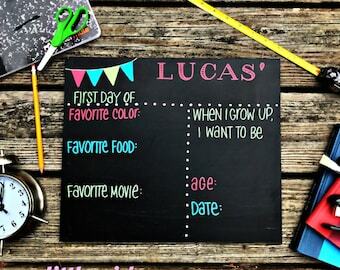 Boy Themed Hand Painted Birth Announcement Wall Art - 16x20 canvas - Nursery Decor, Birth Stats, Newborn, New Baby, Makes Great Gift! Did you know that I can cut wood to fit inside of any frame? 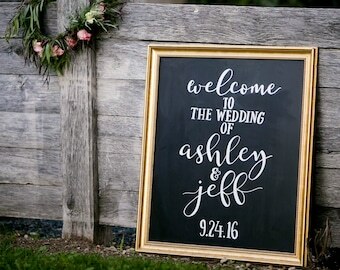 In this photo, the frame was already provided, so bride purchased “wood option” in listing, and I created a sign to fit inside of dimensions of the provided frame. 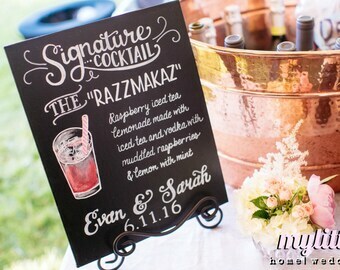 I loved creating this custom chalkboard as a thank you to the newlyweds' wedding guests. 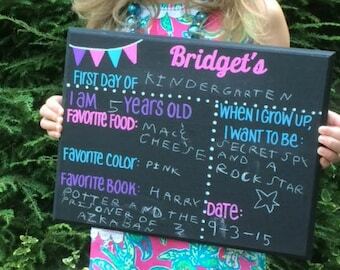 The name "My Little Midge" is the nickname for my daughter, Bridget. She loves "working" in the studio with me. 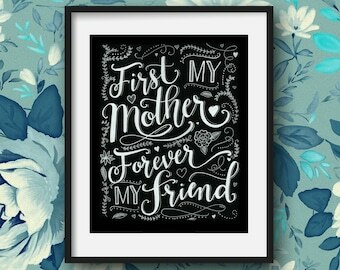 I have had the pleasure of working several times with Matilda Jane Clothing; this is one of the pieces that I created. Don't see something you were looking for in my shop? Just ask! 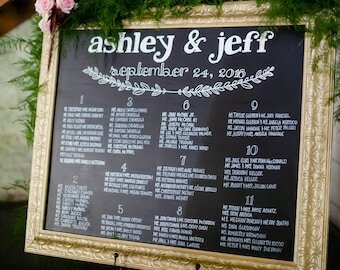 These are one of the table numbers that I created for a wedding last June. Aren't the flowers gorgeous!?? Art has always been a very intricate part of my life, however life had caused art to take a back seat for a few years. After becoming a stay at home mom after the birth of our second child, I decided to re-incorporate art back into my life...and My Little Midge is the product. I love creating new and exciting pieces, and I hope that that is reflected in my work. I am always up for a new project and a challenge, so please do not hesitate to reach out! I am a stay-at-home mother of two residing in Massachusetts. I have always loved sparkles, frills, and just plain fabulousness, and I am so happy to get the chance to share my love with others through helping to make their events more special.